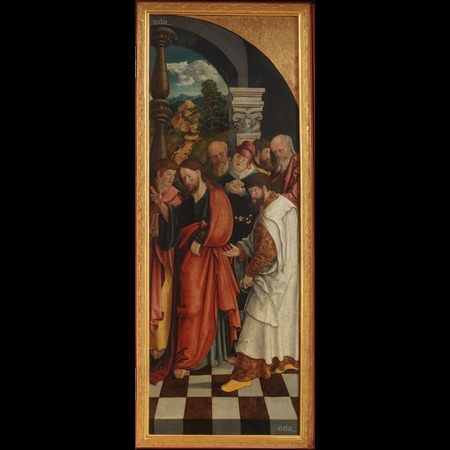 In 1506 the town council of Rochlitz commissioned Philipp Koch's Freiberg based workshop with the High Altarpiece for the Kunigundenkirche. 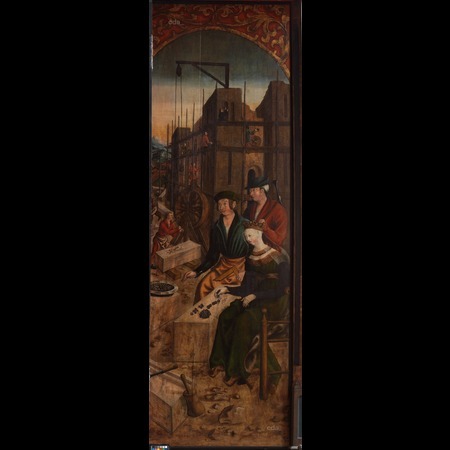 For the painterly execution of the wings the sculptor secured the cooperation of the best available artists. 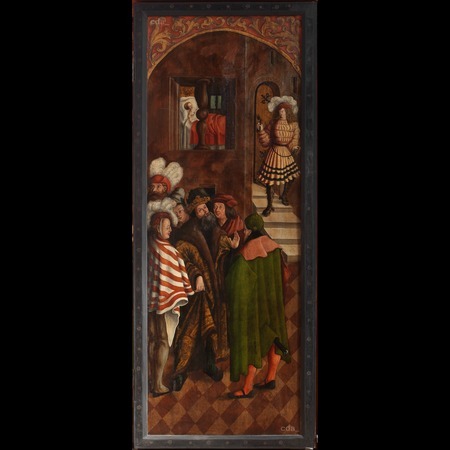 The exterior sides are decorated with scenes from the legend of Kunigunde by an unknown master. 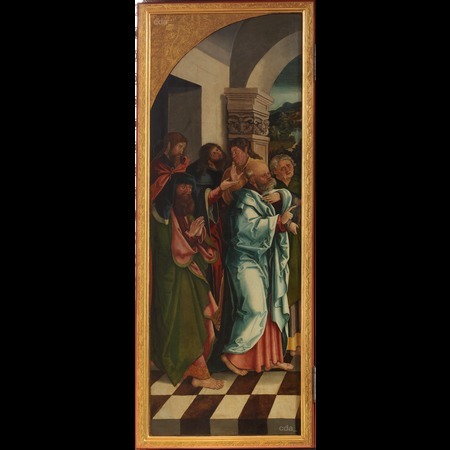 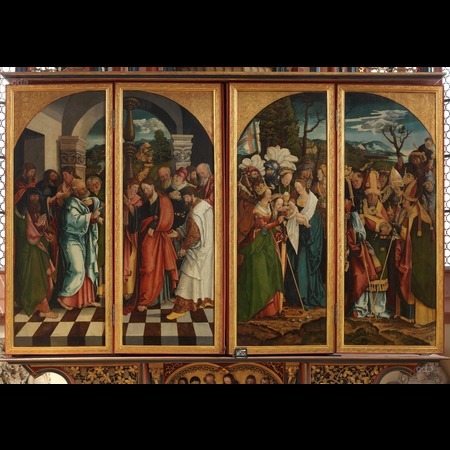 The first transition of the altar is of a good painterly quality by the workshops of the Master of the Döbelner Altarpiece and the workshop of the Master of the Oberbobritzsch Altarpiece which in terms of style and forms corresponds with that of the beginning of the Renaissance in Freiberg. 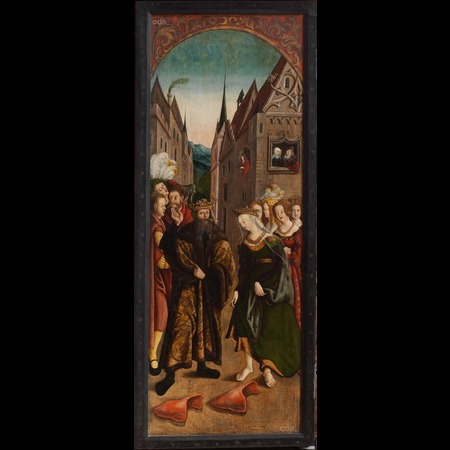 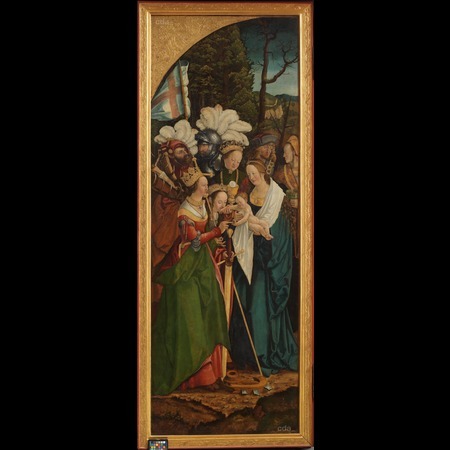 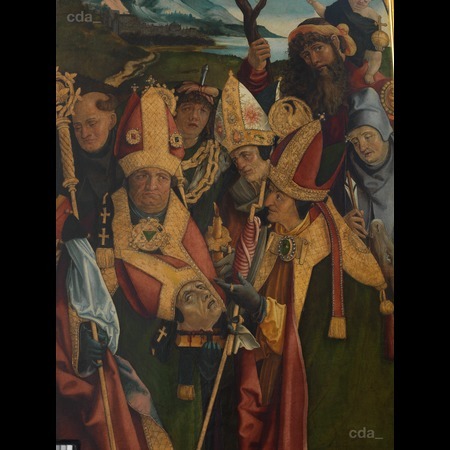 Numerous artists working on the panels have brought together something of Cranach's world view, the Franconian culture of painting and forms common to Freiberg. 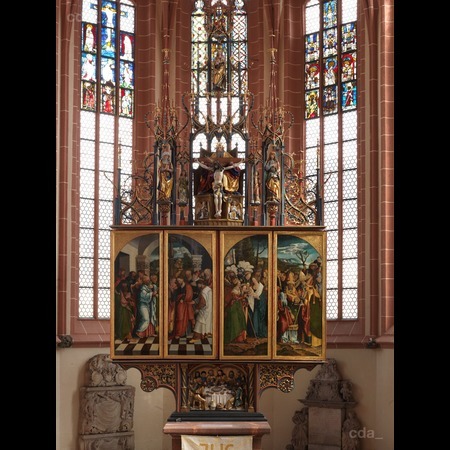 The interior reveals a central shrine by the workshop of Philipp Koch with a sculptural representation of the patron St Kunigunde and her husband Heinrich II flanked by the Virgin and Child with St Anne and the apostle Thomas. 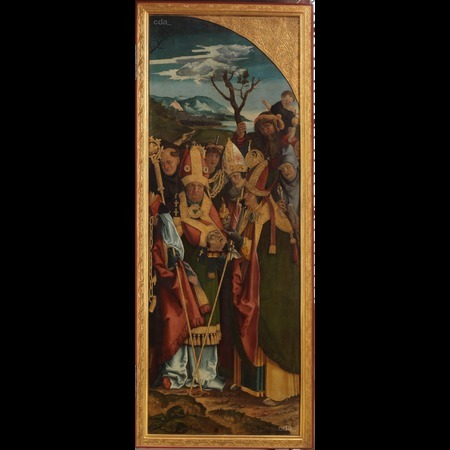 Scenes from the Passion of Christ are arranged either side of the shrine.